In Explore! 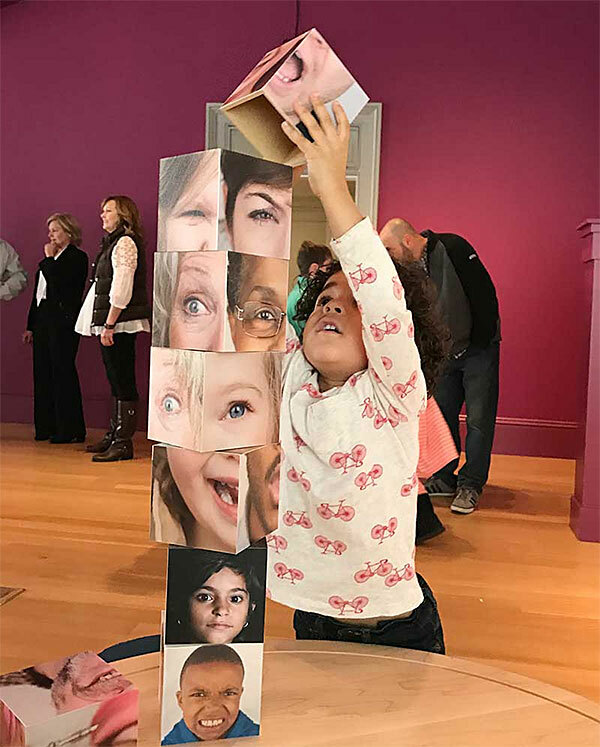 kids can experiment with portraiture hands-on to answer questions such as “What is a portrait?” “How do I see myself?” and “How do others see me?” Young visitors will be able to trace each other’s silhouettes, strike a pose for a projected video art piece, and experiment with expression and emotion by building faces out of illustrated blocks. Explore! is intended for children ages 18 months to 8 years old accompanied by an adult. Activity text is presented in English and Spanish. Open Tuesday to Sunday from 11:30 a.m. to 6:00 p.m.